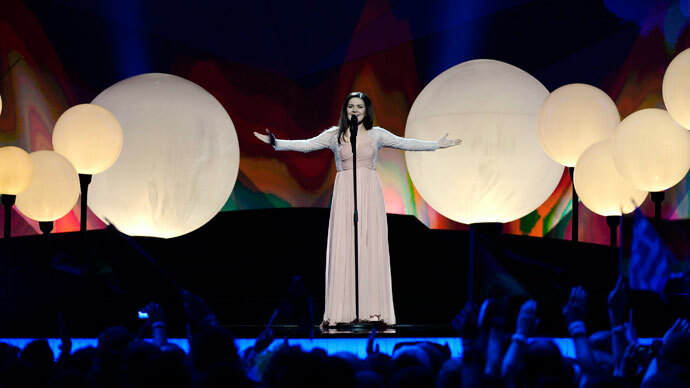 The bearded winner of the 2014 Eurovision contest says she would like to visit Russia and would not refuse the chance to spend a week with the country’s president – in order to better understand him. Thomas Neuwirth, the 26-year-old Austrian singer who performs in drag as Conchita Wurst, explained his desire to spend time with the Russian leader during an interview with Germany’s Kurier. Neuwirth, who is gay, has said that when speaking about himself he uses male pronouns – but when discussing his stage alter-ego, Conchita, he prefers female pronouns. 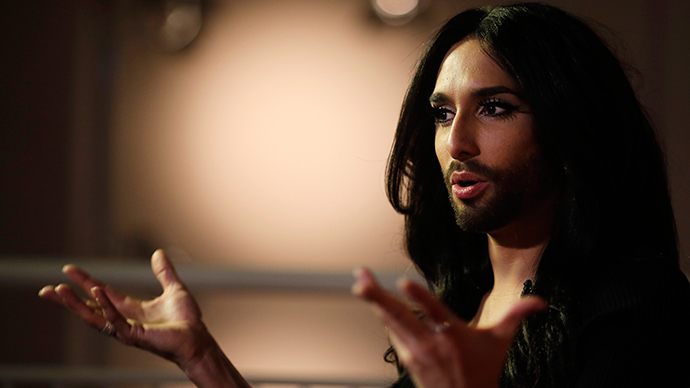 The singer has even crafted a fictional backstory for the character: Conchita was born in the Colombian mountains and has married a French burlesque dancer. Neuwirth noted that he has many fans in Russia. “This is incredibly beautiful because it shows me that many Russians do not agree with the decisions of their government,” he said, probably referring to Russia’s law banning gay propaganda among minors. 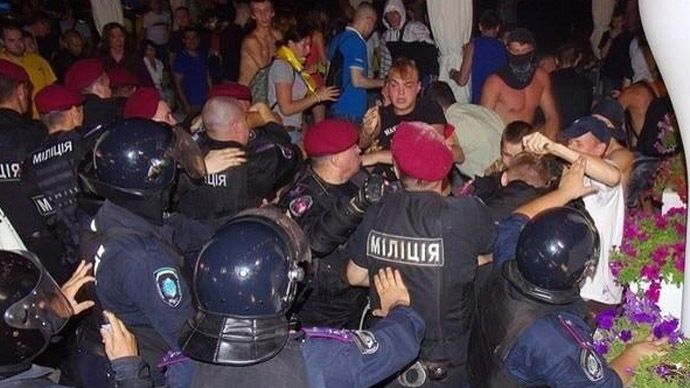 However, not everyone in Russia is quite so eager to have Wurst perform in the country. Notoriously anti-gay St. Petersburg legislator Vitaly Milonov has sent a request to Russia’s Culture Ministry, hoping to ban Wurst from performing in Moscow. 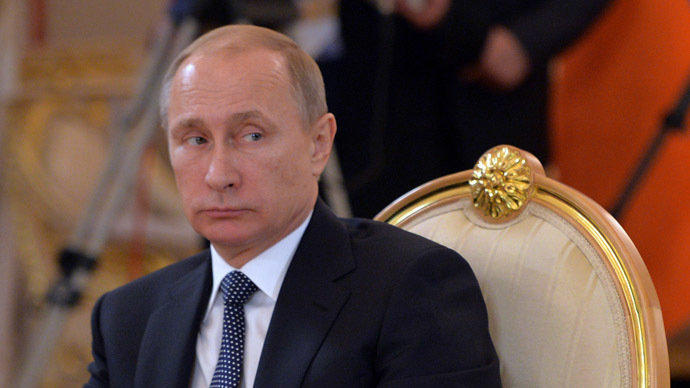 Though Putin’s press secretary, Dmitry Peskov, reportedly laughed off the possibility of a meeting between Wurst and the Russian president, the idea may not be as far-fetched as it sounds. 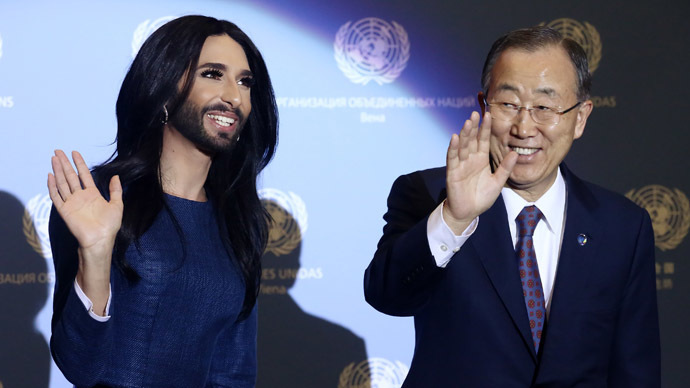 Last month, Wurst met UN Secretary General Ban Ki-moon during his visit to Vienna. Ban joined Wurst at a global conference urging LGBT tolerance.